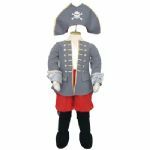 A striking grey pirate captains jacket with gold trim and red trousers with mock black boot and golden buckles. 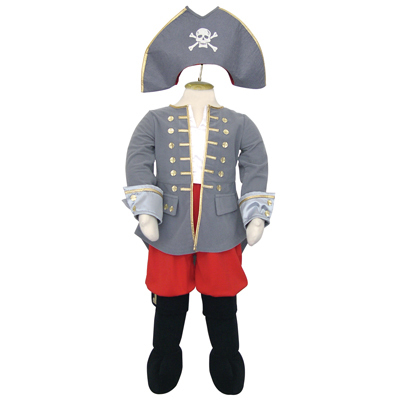 The skull and cross-bones hat is included. 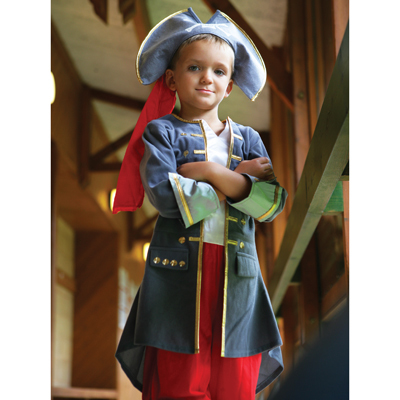 Perfect for Book Week, Halloween, Fancy Dress Parties, School Plays or Concerts or Just for Childrens Role Play.